Saina Nehwal came from behind to beat eighth-seeded Nozomi Okuhara in the quarterfinals of the Denmark Open. Saina Nehwal overcame a difficult start to her quarterfinal match against Nozomi Okuhara to reach the semifinals of the Denmark Open on Friday night. 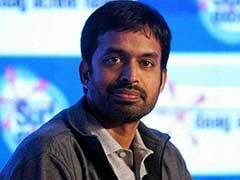 The Indian star lost the first game but won the next two to stun the eighth-seeded Japanese. Saina won 17-21, 21-16, 21-12 in a match lasting 58 minutes to book a last four clash against Gregoria Mariska Tunjung of Indonesia. Saina is the only Indian in the women's singles draw after third seed PV Sindhu suffered a shock defeat in the opening round of the tournament. Saina's victory against Okuhara comes at the back of a superlative performance that saw her conquer world number two Akane Yamaguchi of Japan for the first time in four years. 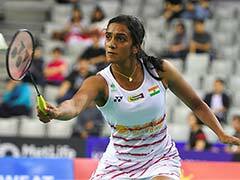 The Indian shuttler, who is unseeded in the tournament won her match rather convincingly against Yamaguchi, and she seemed to carry forward into the last eight match against Okuhara. Saina was outgunned by Okuhara in the first game, trailing from start to finish. But she came out fighting in the second. The Japanese shuttler seemed to be coasting in the second game as well, having taken a 7-3 lead. Saina closed the gap by winning three points in a row but again fell a fairway behind as Okuhara opened a 10-6 lead. But that was the last of Okuhara's dominance. Saina won four consecutive points to draw level at 10-10 and then soon opened a 15-12 lead. The Indian never looked back from there and went on to win the game 21-16 to take the quarterfinal into a decider. The final game was a procession for Saina as she completely decimated her higher-ranked opponent. A six-point burst helped Saina take a commanding 12-3 lead and Okuhara never recovered after that. Saina easily won the game to become the second Indian to reach the last four in the tournament. Earlier in the day. Kidambi Srikanth had defeated compatriot Sameer Verma to reach the semifinals in the men's singles draw. The 7th-seeded Indian will now take on second seed Kento Momota of Japan for a place in the final.